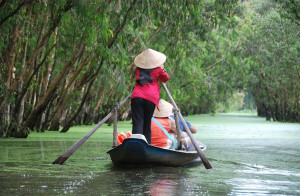 Be swept away by Vietnam’s beauty and culture on this exclusive holiday. 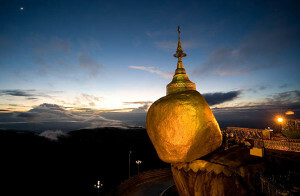 Take insightful tours and dine at top tables in the main cities. Add a touch of romance to the journey with overnight cruises on majestic Halong Bay and the vibrant Mekong Delta, then relax on Vietnam’s best beaches. Upon arrival to Hanoi’s Noi Bai Airport, our guide and driver will be waiting to provide transport to the hotel for check in. This afternoon, wind down and indulge in a treatment at the city’s best spa, followed by a memorable Vietnamese dinner with French touches at a charming restaurant set inside a beautiful villa. Begin Day 2 with a walking/street food tour of Hanoi alongside one of the city’s top culinary bloggers. Begin the walk with a stroll through the Old Quarter, through the East Gate to the Thanh Ha Market. 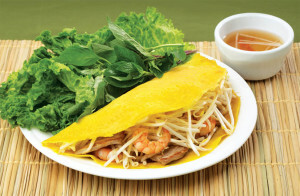 During the walk, sample some local delicacies, strange food items and learn a bit about Vietnamese food practices. Continue through the streets of the Old Quarter to Dong Xuan market to sample some local treats such as pho tiu and bun dau. The guide will explain the routine of Vietnam meal times and the various (sometimes unusual) ingredients eaten. Continue up ‘food alley’ to see other dishes on offer before heading down Hang Than street to view ceremonial cake stalls and French-influenced desserts. Continue back into the Old Quarter via Hang Cot Street. Walk along Phung Hung Street through temporary market stalls to take note of the changing market scene in Hanoi and how modernisation is shaping tradition. At the end of the tour, stop at one of the Old Quarter busiest (yet smallest) coffee shops for a well-earned sit down and coffee before transferring back to the hotel. Notes: This tour can be taken in the morning or afternoon. The tour may be subject to change due to weather conditions etc. The tour will be mostly conducted on foot so be sure that you are wearing comfortable walking shoes. In the afternoon, pay a visit to Vietnam’s first university, the Temple of Literature. Founded in 1076, Quoc Tu Giam was established within a temple to educate Vietnam’s royalty, mandarins and members of the elite. Continue next to the One Pillar Pagoda, followed by the Ho Chi Minh Mausoleum and the former president’s modest house on stilts. Top off the the day with a Water Puppet show, a uniquely north Vietnamese form of art and entertainment. Enjoy fine Vietnamese dining this evening at Home Restaurant. Set within a former French residence in the charming Truc Bach neighbourhood, Home is the unique Vietnamese restaurant situated between the historic labyrinth of the old trading quarter and the expansive serenity of West Lake. 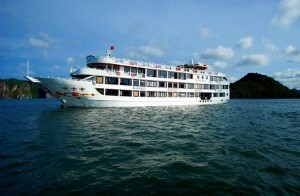 After breakfast, depart Hanoi for the overnight boat trip on Halong Bay. The journey to Halong passes along the rich farmlands of the Red River Delta, where Vietnamese villagers can be seen going about their daily work. Arrive in Halong City around noon and complete check-in formalities. Board the chosen vessel and begin the overnight journey. 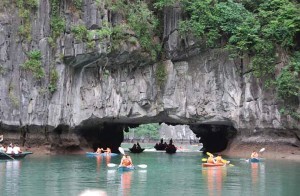 Lunch will be served en route while the boat cruises through the iconic limestone formations. Towards the end of the day, set anchor for the night. As the sun sets over the bay dinner is served on board with fresh seafood, salads, and fruits. In the morning, enjoy a tasty breakfast on board (brunch on some vessels) as the boat weaves back to port through more limestone formations. Upon disembarkation, the guide and driver will be waiting to provide transport to Noi Bai Airport for the flight to Danang. Note: Depending on timing of the onward flight, there may be some optional visits available (Con Son/ But Thap/ Bat Trang Ceramics village). Alternatively, head back to Hanoi for extra sightseeing/ tea time or an early dinner before heading to the airport. All entrance fees/ drinks/ meals are independent of the included costs. After breakfast, spend the morning exploring the beautiful town of Hoi An. Despite the passing of 200 years and the ravages of weather and war, the centre of Hoi An remains much the same as it was in its heyday. A walking tour is the best way to see this marvelous town. After exploring some of the town’s most notable sites, enjoy lunch at one of Hoi An’s best restaurants, serving original and creative cuisine that can only be described as Vietnam-Latin American-Japanese fusion. With a combination of refreshing flavours, beautiful presentations and a relaxing atmosphere this eatery has won the heart of many loyal and happy customers. This afternoon is free to relax with both the car and guide at disposal. Browse for souvenirs in Hoi An’s art galleries and silk shops or maybe cycle to the nearby beaches of Hoi An. Start the day with a half-day cooking class alongside a local culinary master. Chef and proprietor Duc from Mango Rooms creates eclectic and innovative flavours reflective of his worldwide culinary journey. Depart from the hotel early to meet Chef Duc at Hoi An Market at 08:00. Wandering the market, choose some of the ingredients that will be used in the day’s lesson. Duc will introduce the various ingredients on sale at the market that he uses in his cooking as well as his favorite produce. The fish section (not for the faint hearted, as the smell can be overwhelming) is a hive of activity and it’s fascinating to see the range of seafood on offer. After visiting the market, stroll through the ancient streets of Hoi An to Mango Mango Restaurant where the hands on cooking class will take place. Learn how to season and make Duc’s signature dishes: Lust in Translation: tuna rolls double layered with nori and rice paper sheets served crispy and topped with yogurt, passion fruit, and mint, Pearl of China Sea: large prawns battered Japanese-Vietnamese Style tossed in with onion, green bell pepper, garlic, and butter, Mangnum Opus: bluefin tuna steak seasoned in garlic, onion, ginger, basil, sesame seeds, pan seared and served with mango salsa. Following the class sit down to enjoy the creations! After breakfast at the hotel, depart Hoi An for the early morning flight to Vietnam’s beach capital Nha Trang. Nha Trang boasts everything that a sun worshipper could ask for. Upon arrival to Nha Trang, our guide and driver will be waiting to provide transport to the hotel for check in. Aside from the golden stretches of land and crystal clear waters, the coast is dotted with many islands, each boasting their own distinct character. The turquoise waters play host to a variety of marine life, and snorkeling and scuba diving are perennial favorites. Check into the exclusive and outstanding Six Senses Evason Hideaway (accessible only by sea) and settle into a private pool villa which will be home for the next 2 nights (villa includes a private butler). Enjoy the following two days at leisure. True to the Six Senses Resorts & Spas philosophy, the Evason Hideaway creates wonderfully innovative and enriching experiences in a sustainable environment. The Evason Hideaway occupies a unique site near to Nha Trang on Ninh Van Bay, accessible only by boat. The impressive rock formations, coral reef and sandy beach give the sense of being luxuriously at one with nature. The architectural style reflects the traditions of Vietnam and the 53 pool villas provide generous personal space and an uncompromised standard of luxury. The resort’s restaurant features the best of East meets West fusion cuisine. The Six Senses Spa, nestled among rocks beside a gently cascading stream, has an international team of therapists on hand providing signature treatments together with individual rejuvenation specialties of the region. After breakfast, transport will be provided to the airport for the short flight south to Ho Chi Minh City. Upon arrival, our guide and driver will be waiting to provide transport to the hotel for check in. In the afternoon, explore Ho Chi Minh City by vintage vespa. The half-day tour takes a unique look at familiar and not-so-familiar landmarks in modern-day Ho Chi Minh City, revealing the city’s culture, architecture, religious practices and fascinating history. One of the first stops will be to the monument of Thich Quang Duc, a Vietnamese Buddhist monk who burned himself to death on June 11, 1963 to protest the persecution of Buddhists by South Vietnam’s Ngo Dinh Diem administration. The next stop will be at the Ho Thi Ky flower market, before riding to learn about Vietnamese ceremonies & customs. The tour rolls through Chinatown to the 17th century Nhi Phu temple before continuing to a nearby alley featuring a range of tailor’s supplies. Before leaving Chinatown, make a final stop at a traditional Chinese Medicine shop. Before heading back to District 1, pay a visit to a local market, followed by a tour through the colonial Post Office and Cathedral of Notre Dame. From these landmark sites, pay a visit to the infamous Reunification Palace, drive down Dong Khoi Street and end at the historic Opera House. The final stop of the Vespa tour is an outside view of HCM City People’s Committee (formerly Hotel de Ville) which is one of the most photographed buildings in Vietnam. The tour ends with a drop off at the hotel. Dinner this evening will be at the Dining Room Restaurant. After breakfast, depart Ho Chi Minh City for the Mekong Delta region. The hustle and bustle of the city trails behind as the scenery unfolds to picturesque countryside lined with rice paddies and rural villages. Upon arrival in the Delta, board the private ‘Song Xanh’, modeled after a traditional sampan. The boat’s small size allows ease of navigation through smaller canals and tributaries of this region. The visit includes a stop at the home of Mr. Huyen Thuy Le, a character from the novel ‘The Lover’ by Marguerite Duras, as well as the Thien Hau Pagoda. Return to the boat for lunch. Continue to Can Tho, stopping en-route at a Cao Dai Temple. Cao Daism is indigenous to South Vietnam and its colorful and unusual murals (combining all major faiths of the world) are simply mesmerising. Before sunset, the last stop is at a splendid 19th century house where an unforgettable candlelit dinner will be served. After dinner, proceed for one hour to Can Tho where the sampan will be moored for the night. After breakfast, cross the Mekong en route to the Cai Rang Floating Market. During the cruise, soak in traditional sights such as rice barges, wooden ship building yards and fruit drying along the Mekong’s banks. After visiting the colourful floating market, transfer to Can Tho Airport for the flight to the island of Phu Quoc. Upon arrival at the island’s sleepy airport, a shuttle bus will be waiting to provide transport to La Veranda Resort. Many properties in Asia claim to be ’boutique’, but few fit the bill so perfectly as La Veranda. The resort features sumptuous villas, a wonderfully indulgent spa and a pristine sandy beach. The rest of the day is at leisure to kick back or enjoy the resorts facilities. Situated in the Gulf of Thailand, Phu Quoc is one of Asia’s least developed beach destinations. The island’s clear waters, undiscovered beaches, forested interior and charming local character make for an ideal holiday escape. Spend the next three nights in Phu Quoc enjoying the beautiful, laid-backed surroundings. Recommended touring options (on own account) are diving and snorkeling trips to the outlying reefs, visits to the island’s infamous fish sauce factories and perhaps even trekking trips to the island’s interior rainforests. Enjoy some free time in the morning before transport is provided to the airport for the departing flight to Ho Chi Minh City. If time permits, it is possible to transfer back into Ho Chi Minh City for last purchases; alternatively, relax at the airport before the onward flight.